Remedy by Dr. Frost does well to recreate the flavour of our childhood medicine in vape form. We all remember purple Calpol cough syrup, with its subtle Strawberry Candy undertones. Dr. 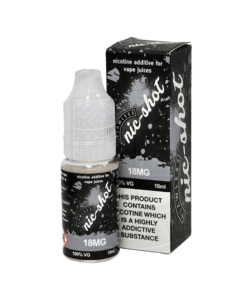 Frost is available in a 25ml or 100ml short fill allowing you to add your own nicotine.